Banarsi sarees, suits and silk fabric is one of the most traditional materials used for bridal and party wear clothes. 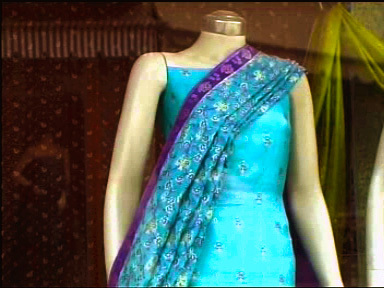 Sarees of this material have been worn by the beautiful women of the Indo-Pak region since centuries. Originating from Varanasi, also called Banaras, in India, the craft has been carried to Pakistan by the artisans that migrated here and continues to be identified as such. Initially it was woven with real gold thread called zari. The artisans that designed the floral motifs as well as the full 'palloo' of the Saree have command over intricate design development as well as color combination. Made for the Nawab Begums, Maharanis, the royalty and the nobility all wore Sarees and lehngas at all special occasions, made of this regal fabric made from zari and resham. The fabric is woven with pure silk thread in lovely color combination. Some are made with two threads that give shades under different lights. 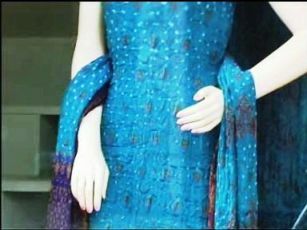 It is made on chiffon, georgette, silk and cotton. The motifs are designed by the old artisans whose families have carried on the tradition of the trade. 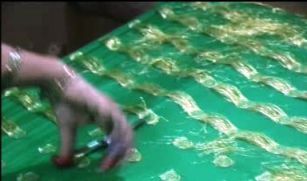 Traditionally the fabric is made from pure silk thread. However, due to its high cost there are some variants such as polyester fiber that have replaced the traditional silk thread. Nevertheless, old artisans still use silk thread and despite being costlier, the demand for banarsi silk has always been high. 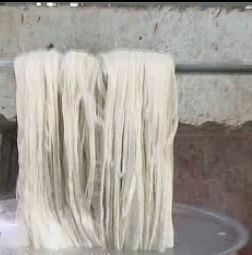 Pure silk thread imported in loops as shown above is then washed in large vats to clean the fiber of any impurities. 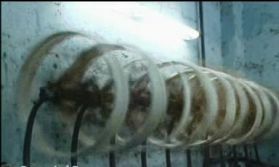 Once washed and dried, the thread is then placed on the de-tangling machine to have long smooth lengths to be rewound on spools. The detangled fiber is then rewound on spools for better management and ease of movement. Banarsi fabric is woven on hand looms made out of wood. 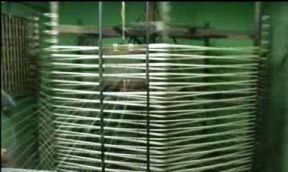 This is a traditional way of weaving this fabric. Along with silk fiber motifs are added with Zari thread which has many colors as well as gold and silver. Woven fabric is in lengths with repeated designs. 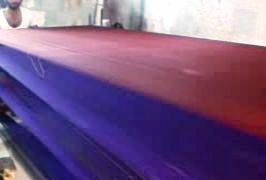 the lengths are then cut into Sarees or suit pieces according to the design and specifications. 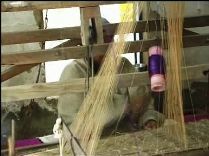 Most of the finishing work is done in the houses of the weavers where women give full help in clipping away the extra material.